Basle, 1588. 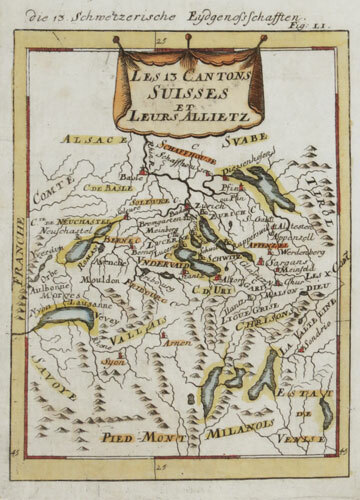 Lake Leman or Lake Geneva, orientated with north to the bottom, so Geneva is on the right of the map. Antwerp, 1612.. Switzerland, orientated with north at the bottom of the map. Amsterdam, Jodocus Hondius, c.1616. Miniature map of Switzerland. Hondius engraved new plates for his edition of the Bertius atlas 'Tabularum Geographicarum Contractarum', which he sold alongside the Mercator 'Atlas Minor'. The new plates had thicker borders with graduations for longitude and latitude. Amsterdam, Jodocus Hondius, c.1616. 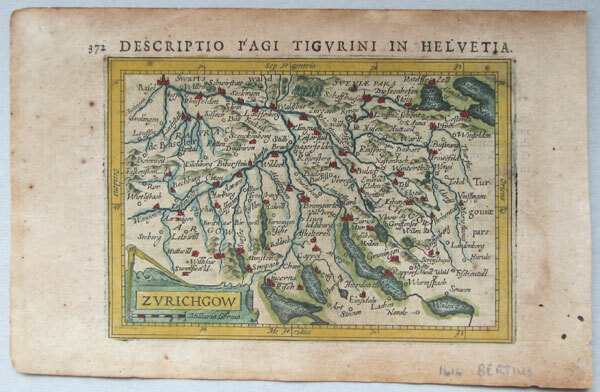 Miniature map of the Swizz canton of Zurich. Hondius engraved new plates for his edition of the Bertius atlas 'Tabularum Geographicarum Contractarum', which he sold alongside the Mercator 'Atlas Minor'. The new plates had thicker borders with graduations for longitude and latitude. Amsterdam, Jodocus Hondius, c.1616. Miniature map of the Swizz canton of Berne and Friebourg. Hondius engraved new plates for his edition of the Bertius atlas 'Tabularum Geographicarum Contractarum', which he sold alongside the Mercator 'Atlas Minor'. The new plates had thicker borders with graduations for longitude and latitude. Amsterdam, Jodocus Hondius, c.1616. 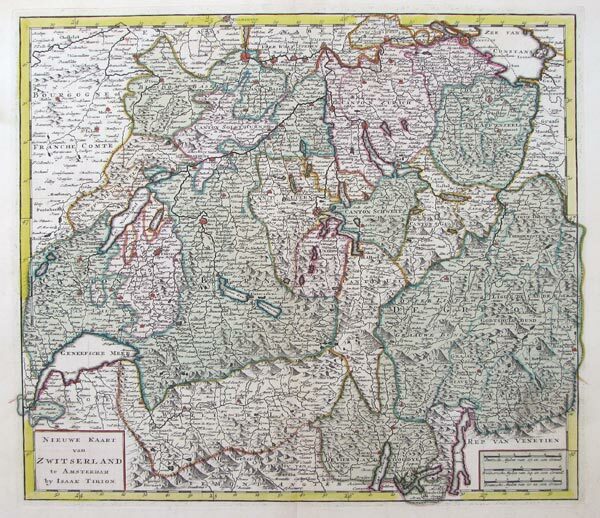 Miniature map of Argow in the Swizz canton of Lucerne. 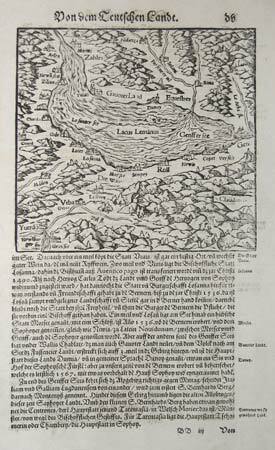 Hondius engraved new plates for his edition of the Bertius atlas 'Tabularum Geographicarum Contractarum', which he sold alongside the Mercator 'Atlas Minor'. The new plates had thicker borders with graduations for longitude and latitude. Amsterdam, c.1640. 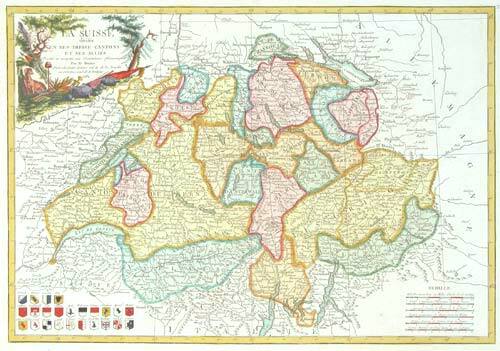 Map of Switzerland after Gerard Mercator, with cartouches for the title and two scales. Paris, c.1683. 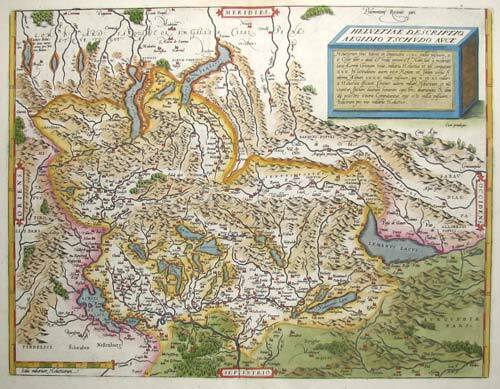 Map of Switzerland from Mallet's 'Description de l'Univers'. 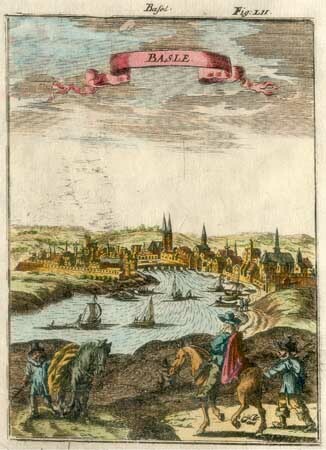 Frankfurt, c.1686. 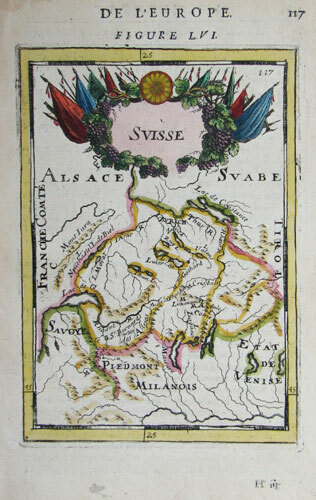 Map of Switzerland from a German edition of Mallet's 'Description de l'Univers'. Amsterdam, c.1700. 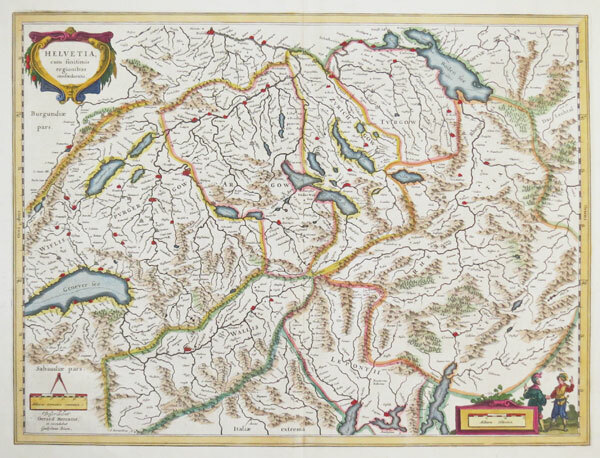 Detailed map of Switzerland, with a decorative title cartouche. Amsterdam, c.1764. A colourful map of Switzerland. Venice, 1781. 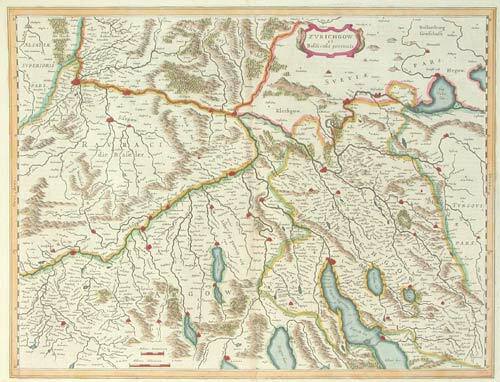 Map of western Switzerland. Paris, Lattré, 1782. Decorated with a title cartouche and the crests of the Cities. Amsterdam, c1640, French text edition. Central Switzerland. 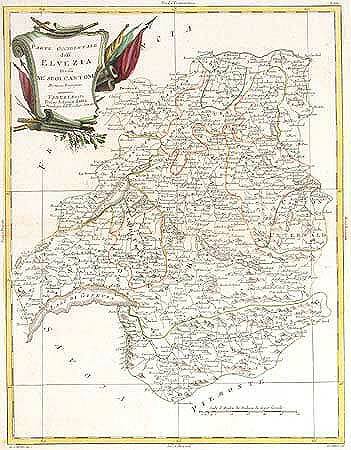 Unusually Blaeu credits Gerard Mercator as the author of the map. Map of Zurich, Basle and Lucerno. Amsterdam, c1640, French text edition. 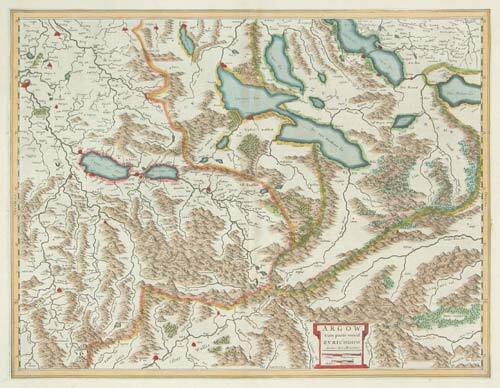 Northern Switzerland, marking Zurich, Basle and Lucerno.